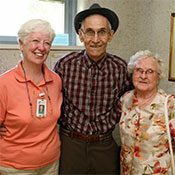 Welcome to Grey Bruce Health Services. 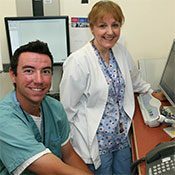 We operate six hospitals that are located in the Grey Bruce region. Our mission is to offer Quality Health Care, Right Here. 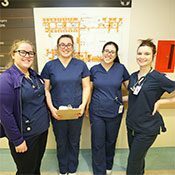 We have 1,600 dedicated and compassionate staff and over 150 physicians who work together delivering excellent patient care to residents and visitors across Grey Bruce. 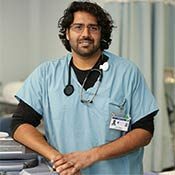 Our Regional Hospital in Owen Sound is the largest of our sites, and offers a full range of specialty services, including complex surgeries, total joint replacements, cancer surgeries, MRI and CT diagnostic services. Across the six hospitals, we have more than 100,000 patient visits per year. 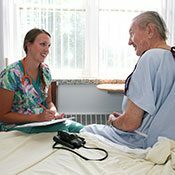 Our rural hospitals in Lion’s Head, Markdale, Meaford, Southampton and Wiarton offer a wide range of primary and ambulatory care services and all have 24/7 Emergency departments. Check out this short video for a brief snapshot of who we are and what we do. Exceptional Care. Strong Partnerships. Healthy Communities.